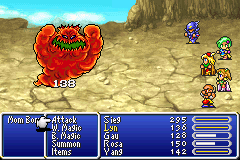 Fourth game of nintendo's final fantasy series. 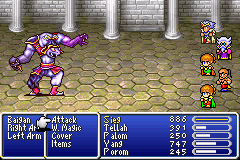 Not as memorable as other final fantasy series, but this one is good enough to be called final fantasy. 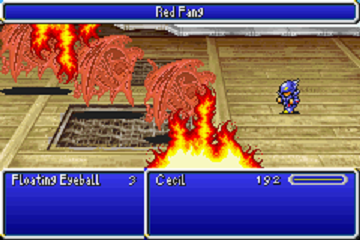 All the final fantasy elements are there. Many many characters to choose from and each characters got a unique weapon that each of them can wield (not that it is accesible early on, but still noticable). 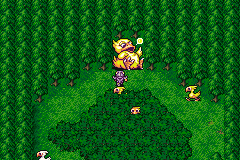 Game play sticks to turn based battle and graphic is okay for GBA quality. Nothing flashy. 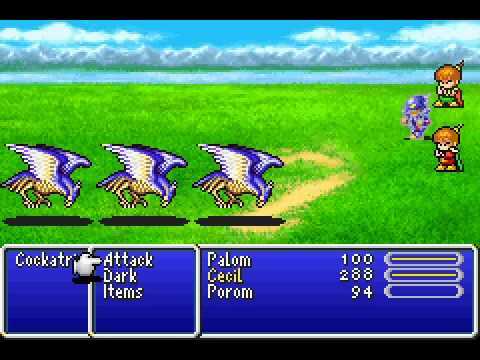 One of the best Final Fantasies ever made, and will probably be known as one of the classics. 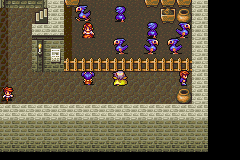 The storyline was excellent, in comparison to many RPG's. Cecil, the dark knight begins to question the dark acts in which he is forced to do by his king, and is therefore stripped of his position as captain of the red wings and must prove his loyalty once more to retain it. 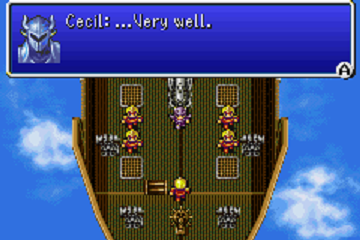 Cecil, along with a cast of other wonderful, memorable characters, go on an epic quest to protect the crystals from the evil Golbez, and another evil that is darker still. The soundtrack was pretty good. It suited all of the situations perfectly, and not much is repeated throughout the game. 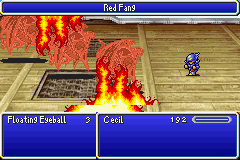 This is one of the first (and might actually be the first) Final Fantasy to use the active/wait battle mode. For example, each character has a meter that slowly fills. Once filled he or she can make their move of either attacking, using magic, an item or defending. Once they execute their move, that character will not have the ability to take another turn until their meter fills again. I love this type of battle mode. It engages you and makes it feel so much more "real". I would definitely recommend that if you intend to play this game on a DS system, do yourself a favor and play the DS version of the game. Square Enix remade the game with 3D graphics, and the difference is amazing! They also added more to the story, things they didn't have room on in this version. I have nothing but wonderful things to say about this game, and is absolutely a must for any RPG fan, especially if you're into the Final Fantasy series. Now you can add videos, screenshots, or other images (cover scans, disc scans, etc.) 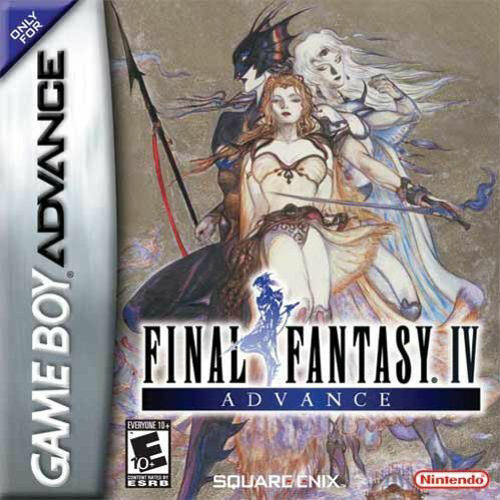 for Final Fantasy IV Advance (U)(Independent) to Emuparadise. Do it now! 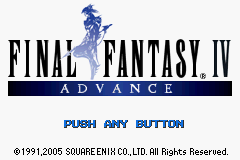 You have the option of playing Final Fantasy IV Advance (U)(Independent) in your browser, right here at EmuParadise! No need for any software, no installations required, all you need is a fast enough PC and a browser with Flash support. This is great if you're on a PC with restrictions on software installations or want to secretly play at work. Hey i still find it unbeleivable i was the first one to dump it! And thanks to everyone at GBAtemp, the kids in the chan, sharing like kids should.